Time flies and so much has happened in the last week. The first picture is of a MSN news page from this last Sunday. 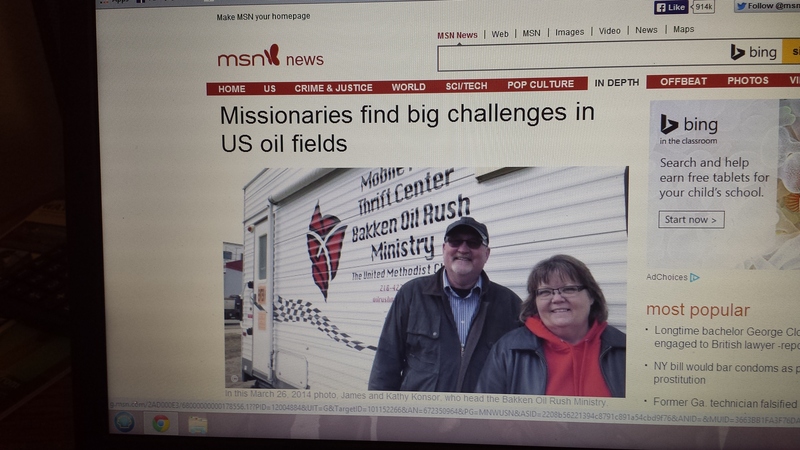 Josh Wood,s a AP reporter did a article talking about the challenges of doing missions work in the Bakken. We were part of that article. It appeared on the front page of the Bismark Tribune and also hit some national outlets such as the Washington Post, The New York Times, The Arizona Sun, plus numerous others totalling at least 75 different outlets. We are praying that it results in some attention and help for the ministry we are trying to do here in Watford City. I must mention that we had about 40 people last Friday night for our game and super nachos family night. We had a enjoyable time and met some new people and also several families that have visited our Mobile Free Thrift Center attended. That is the point…Two Thumbs up! 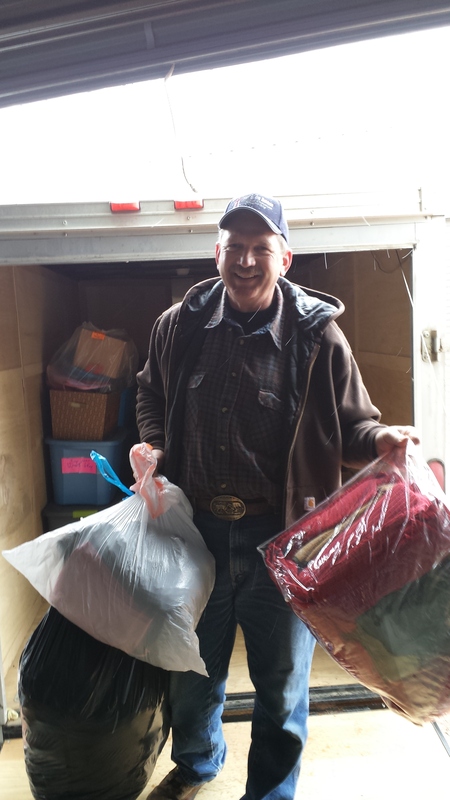 The second picture is of our friend Jim Mitchell, who is helping unload the utility trailer we have been using for storage of thrift items. We need to return the traile,r so had to rent a storage unit short-term until we can locate a space that will allow us to sort and store at the same place and hopefully on ground floor level. The third picture is of shelves that we built in the basement of the Glory of the Lord Church. We store thrift items down there as well and also do some sorting. The area is not big enoug,h so it quickly becomes overrun with bags and boxes and then we have no room to work. 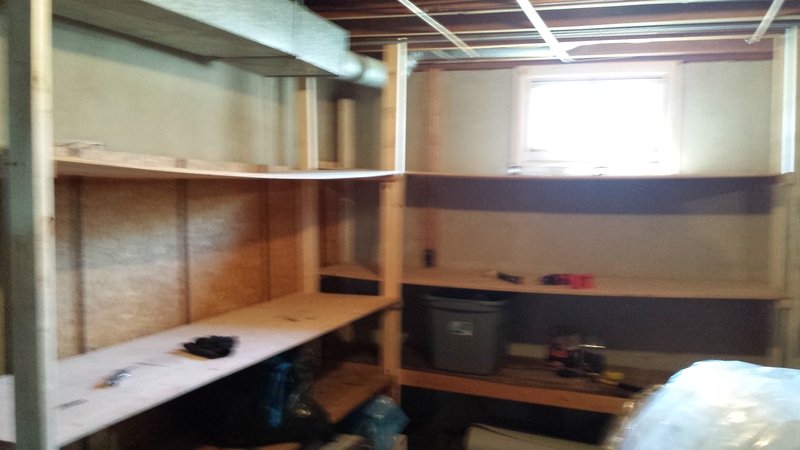 The shelves (though temporary) will allow us to use wall space and have 3 levels to put things on, which will also allow us to find items we need for stocking the thrift Trailer. Gotta run, another interview is coming that will focus on our space issues. Hopefully, it will get the attention of some people that can help us move forward. God Bless, and keep us in your prayers! ← Mobile Free Thrift Center Open Thursday April 24th 11 am to 5 pm.